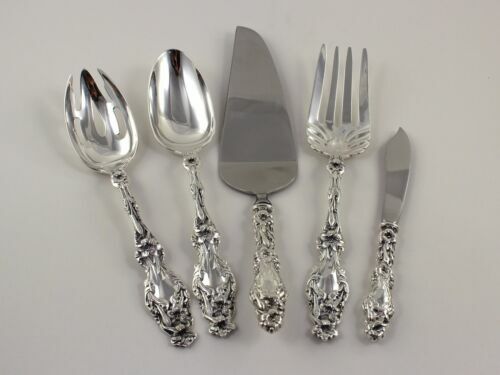 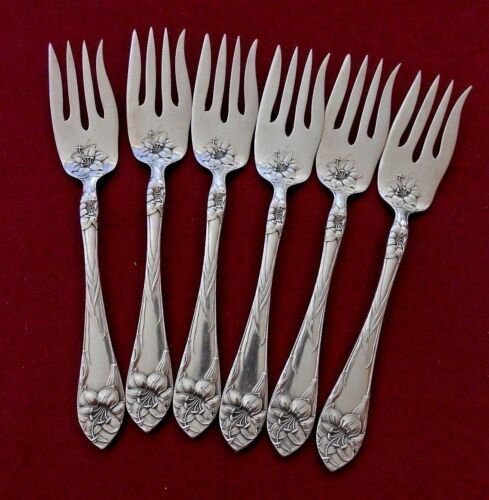 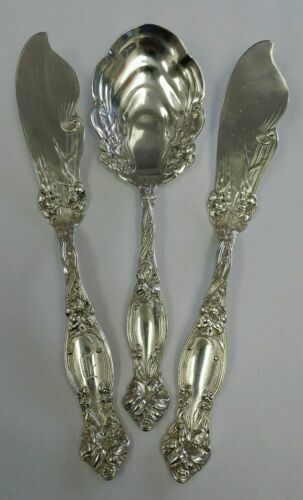 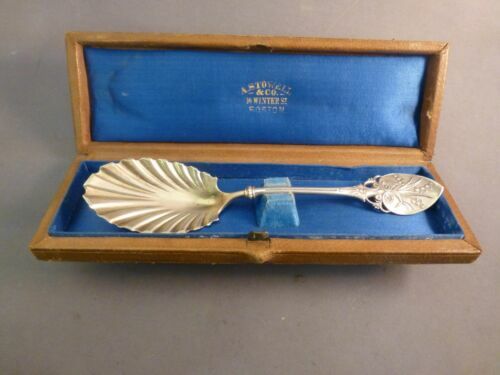 $12.99 ROGER BROS SILVERPLATE 6 DINNER FORKS 1874 PATTERN "LILY"
$15.99 Whiting Mfg. 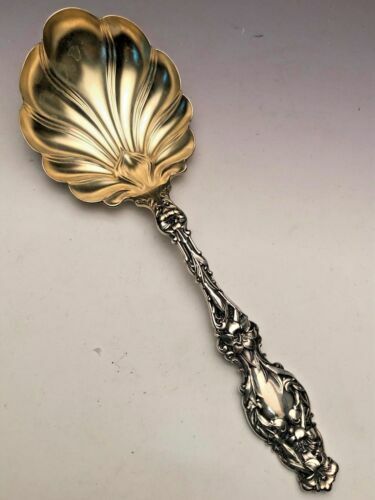 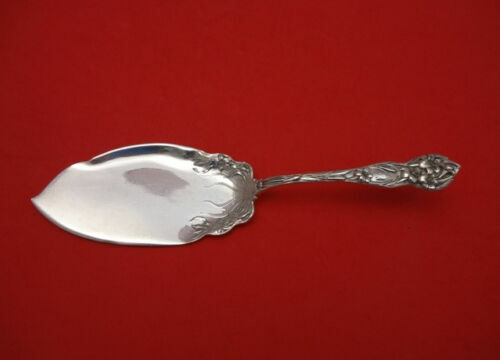 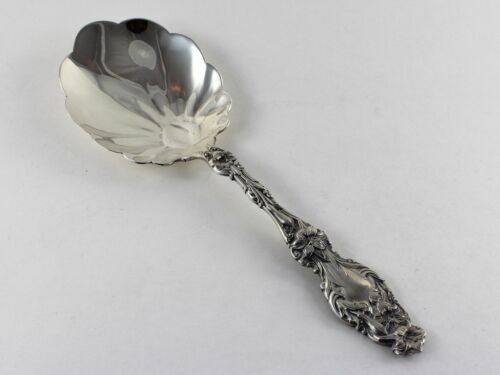 STERLING SILVER Teaspoon in the 1902 Lily Pattern 5 3/4"
$49.99 Antique Sterling Gorham Lily Large Floral Wedding Cake Knife Hollow Handle 12.5"
$15.99 Whiting Mfg. 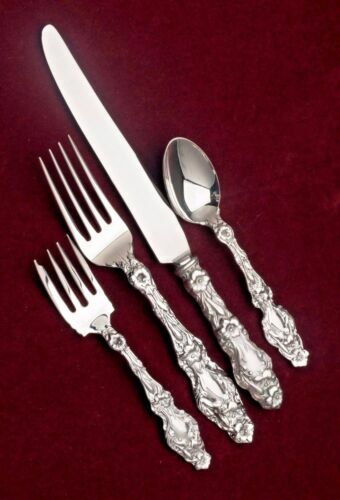 STERLING SILVER Small Teaspoon in the 1902 Lily Pattern 5 1/2"
$358.8 (6) RARE WATSON CO. STERLING SILVER OVAL BOWL DESSERT / SOUP SPOONS 1902 LILY 7"
$249.0 Whiting Division Lily Sterling Silver Salad Serving Fork - 9-1/8"
Buy: $395.0 Old Whiting Lily Pattern Sterling Silver Oversized Salad Set c1902 No Mono 11.5"
$399.99 Antique Lily Engraved by Whiting All Sterling Cake Saw-9 7/8"
Buy: $349.99 10 ANTIQUE FRANK WHITING STERLING SILVER BULLION SOUP SPOONS LILY PATTERN 409 g.
$245.0 Antique 1870's Wilcox Silverplate Center Piece " Pond Lily w/Sea Cherub/Putti"
$299.99 Gianmaria Buccellati Sterling Silver 925 Lily Pad Leaf Trinket Ring Dish – 3"
$309.0 Lily by Watson Sterling Silver Fish Server Flat Handle All Sterling 9 7/8"
$259.0 Lily by Whiting Sterling Silver Nut Spoon 4 5/8"
$289.0 Lily by Whiting Sterling Silver Gravy Ladle 7"